Hello there and thank you for stopping by today. Today I am participating in MFTWSC331 (Wednesday Sketch Challenge 331). It's a great way to kickstart your crafting. A sketch provides everything you need to get started! 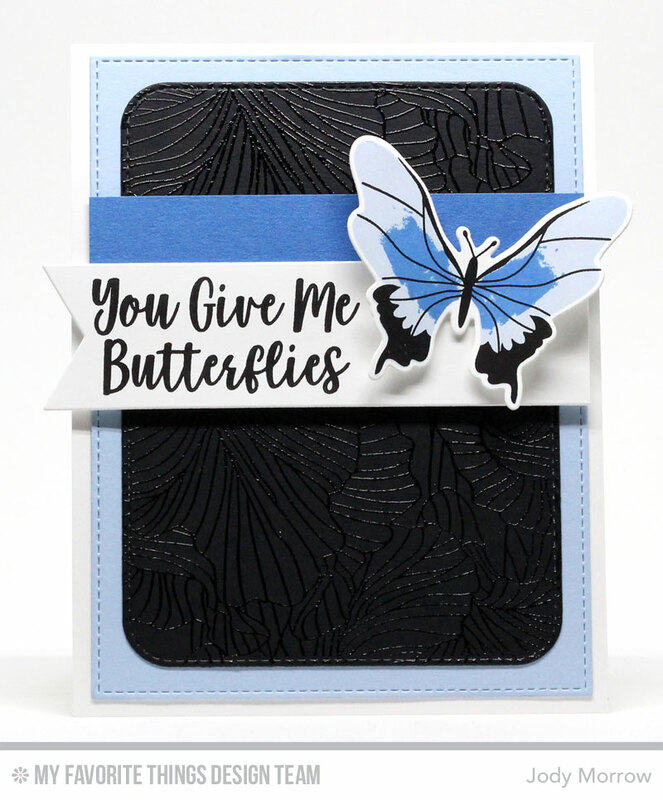 My card today features the gorgeous Beautiful Butterflies stamp set and Die-namicsand You Give Me Butterflies stamp set. The layered butterflies were stamped with the help of the MISTI. The back panel was cut from Blueprints 31 and was embossed in clear with the Etched Flower Background.